I have been an artist my entire life. There are few days that go by without finding me in my studio hard at work or teaching classes. I love to capture all aspects of light as it dances across familiar objects. Painting translucent glass with their myriad shapes and reflections is a favorite. I build up values with multiple glazes of rich color. The paint should be rich enough to swirl across the palette like cream. I use Dr. Martin Liquid Watercolors to enliven and enrich the color. I hope you will enjoy viewing this selection of my work. For a complete list of awards and signature memberships visit the awards section of this website. 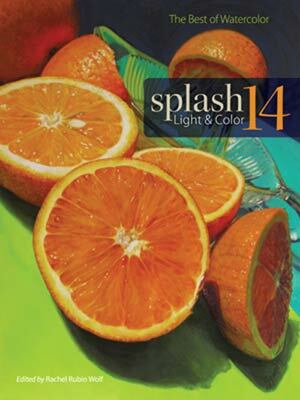 Susan Stuller is featured in Splash 14 Lights & Color - "The Best of Watercolor" - click the cover image to see page 42 of the magazine.